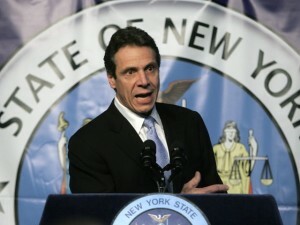 New York’s governor says new rules requiring disclosure of outside income will make lawmakers think twice before taking on a client that poses a conflict of interest. The new rules are included in the state budget passed by lawmakers early Wednesday morning. They include a requirement that lawyers in the Legislature identify their clients — though there are wide exemptions built into the law. The governor says he believes the new ethics rules will improve accountability while discouraging lawmakers from taking on clients that pose an ethical problem.